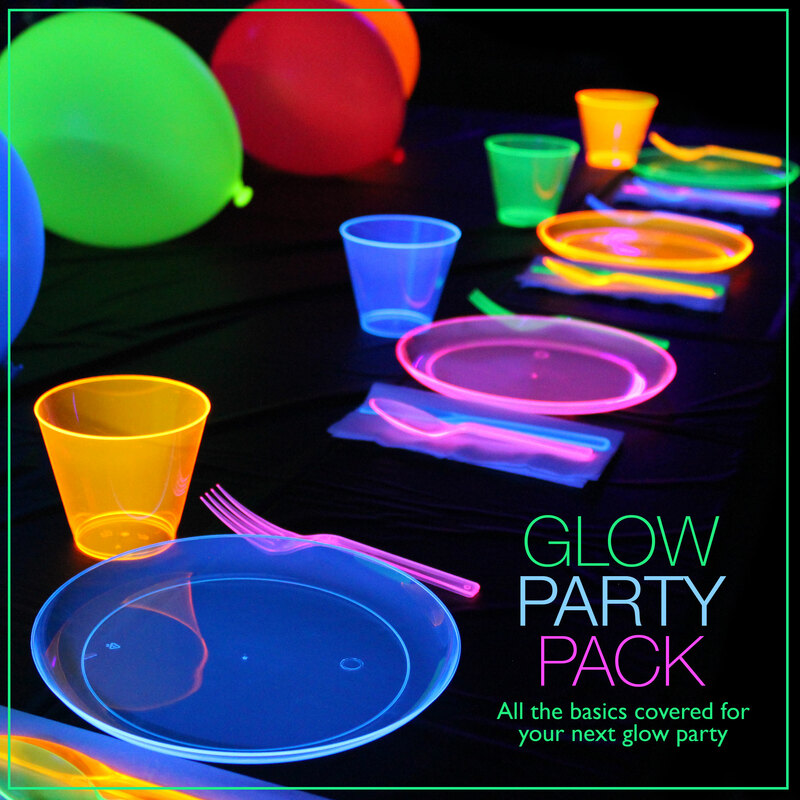 The Glow Party Pack has all the basics covered for your next Glow Party! BPA Free neon cups, plates, and plastic ware things at glows under black light. Plus, five UV Reactive latex balloons to add an extra splash of color. The Glow party Pack also comes with 50 8-inch glow bracelets with connectors. These are perfect for additional decorations, party games, or simply for guests to wear. This set does not glow in the dark. It does require a black light for the plastic ware to glow. If your budget permits, we recommend purchasing two American DJ 24BLB black lights. Placing one on both sides of the room. Plates and cups come prepackaged in assorted colors. Plastic cutlery comes in a single color and will vary pack to pack. Plastic is BPA free. Need your party pack quick? Try Amazon Prime for free 2-day shipping!